Introducing the ultimate stir fry formula so you can make any dishes with minimum prep and whatever ingredients you have on hand. So, you decide to learn how to cook your favorite Chinese takeout dish at home. Then, you see the recipe requires a wok, and sometimes a gas stove. Words such as “high heat” and “pan tossing” keep popping up in your face. Going through half of the ingredient list, you decide to wait until the next New Year’s resolution to challenge the project and pick up your phone to order delivery. Have you ever come across similar situation? I hate to see that people get turned away from making great dishes because of the description of the recipe. I believe anyone could make a great stir fry dish in their own kitchen! That’s why I have come up with the perfect solution – the Stir Fry Formula. Cook stir fried dishes with the simplest setup, even without a wok. Tweak any recipes by using whatever ingredients you have on hand. Make your dish taste better with minimum effort. Most of the examples and recipes in this post are Chinese stir fries, but the same rules also apply to other types of Asian stir fries, such as Thai, Japanese, Vietnamese, etc. Chinese stir fry always gives people the impression that it involves so much prep work and so many steps that you need an extra pair of hands. You might find that it is a challenge to get the seasoning right. And more than often, you may realize that you don’t have all the ingredients that are listed in a recipe at the last minute and have to run to the grocery store. You can solve all these problem by using the stir fry formula. Now, let me spend one minute to explain what makes a good stir fry. A solid stir fry sauce that is bursting with flavors without using tons of salt. Aromatics to add fragrance and umami (ginger, garlic, and green onions are usually used in Chinese stir fries). Protein and vegetables that are seared in the hot pan until just cooked through, so the meat remains tender and juicy while the vegetables remain crispy. 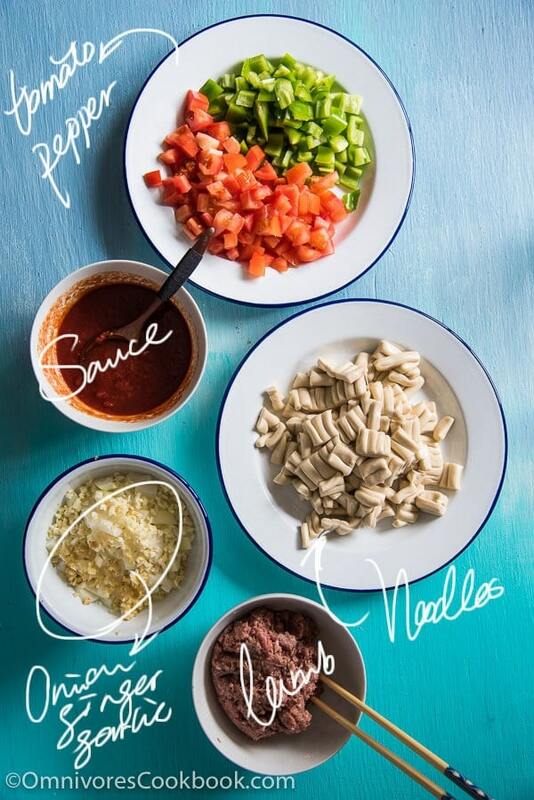 The stir fry formula allows you to use three steps to make any stir fry dish. Let’s me explain one part at a time. This is the one of the most crucial parts for any stir fry recipe. I consider it even more important than the stir fry sauce. To makes a great Asian stir fry that bursts with flavor, you need to use tons of fresh aromatic ingredients instead of salt to make the dish stand out. That’s why most authentic Chinese recipe call for minced green onion, ginger, and garlic (the 3Gs). 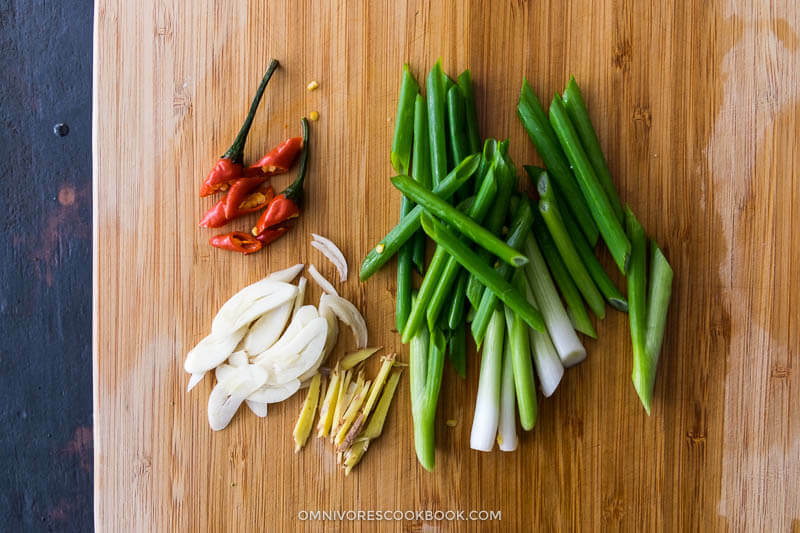 A Thai stir fry contains tons of fresh chopped lemongrass, galangal, chili pepper and basil. By using fresh herbs, your stir fry will taste great, simply with a few drops of soy sauce or a pinch of salt. On the other hand, although aromatics are necessary in a stir fry dish, it doesn’t mean you need to use a few kinds every single time. More often, you can tweak a recipe by skipping one or two aromatics by increasing the amount of one aromatic. For example, if a recipes calls for “1 tablespoon sliced green onion, 2 cloves minced garlic and 1 teaspoon ginger”, chances are, you can probably get by with “4 tablespoons sliced green onion”, OR “4 to 5 cloves minced garlic”, OR “1 tablespoon minced ginger”. Peel garlic faster: Press the garlic by laying a chef’s knife on a garlic clove and use your other hand to press down to lightly crush the garlic. It only takes 2 seconds to peel the garlic once it’s crushed. Mince garlic faster: Use a garlic press to mince garlic in a few seconds. Mince ginger faster: Use a lemon zester to mince ginger in a few seconds. If you are using a mild stir fry sauce or minimum seasonings, use minimum aromatics. If you are using a bold flavor stir fry sauce, add more aromatics. 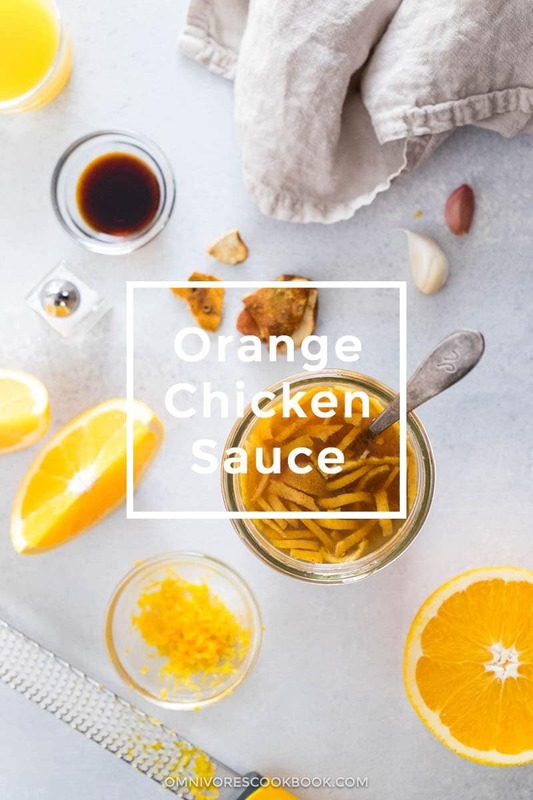 For example, if you are cooking with orange sauce or lemon sauce, a slice of ginger, or 2 to 3 cloves of garlic, or 2 to 3 green onions will do the job. 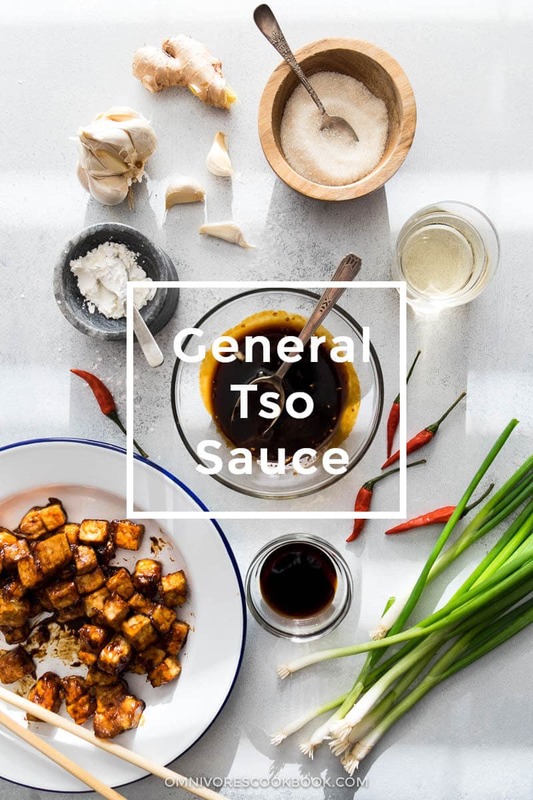 On the other hand, if you’re cooking with a bold sauce, such as General Tso sauce, you need to add extra aromatics to make the dish work. For example, double the amount of aromatics (e.g. 4 to 6 cloves garlic) or use two of them as a combination (e.g. 3 cloves garlic + 1 big slice ginger). 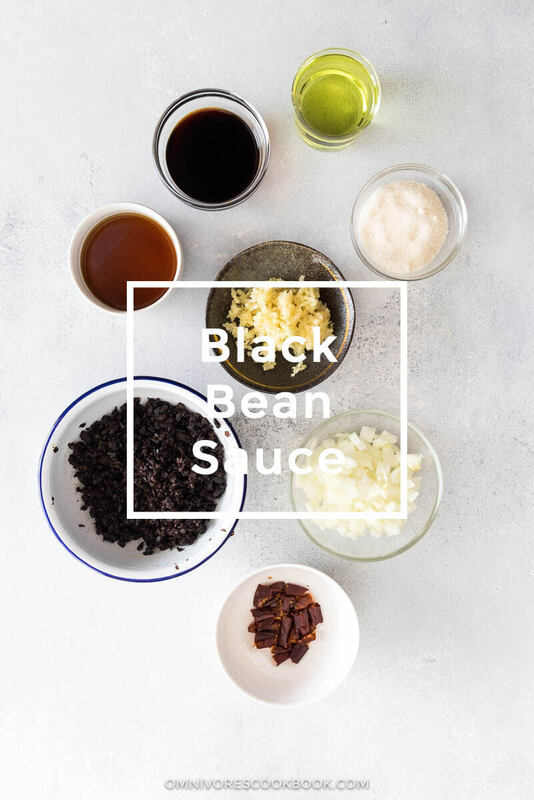 (1) If you’re using a sauce that already contains tons of aromatics, such as black bean sauce, you can skip the aromatics (see the steamed or baked fish with black bean sauce). (2) Use dried chili pepper and/or Sichuan peppercorns to make spice-infused oil for quick vegetable stir fries. The oil will have a nice smoky flavor once heated up with these spices. For example, Chinese 4-Ingredient Fried Cabbage and 4-Ingredient Okra Stir-fry. (3) Use pre-made, herb-infused oil to cook stir fry. 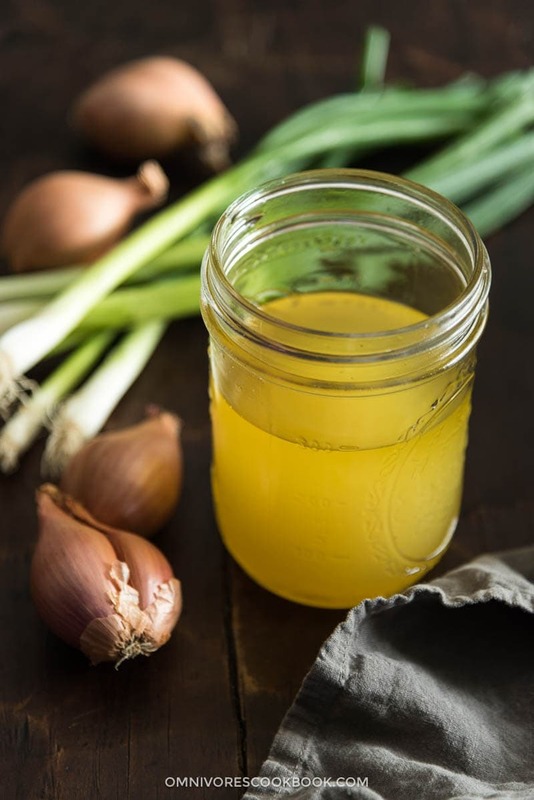 For example, you can make a big jar of scallion infused oil on the weekend and use it in a stir fried dish to add fragrance. 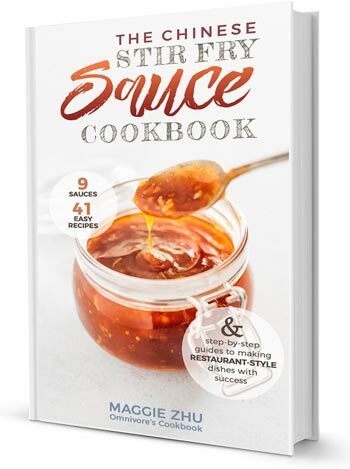 The shortcoming of using this method is, it works great with mild sauce or vegetarian dishes, but it’s not potent enough with a bold sauce. You can use the methods above to add aroma to your dish without spending too much time to prep aromatics. Again, if you have more time, only adding one type of aromatic (ginger, garlic, or green onion) will make a big difference. Stir fried dishes are highly flexible and can be altered by using whatever ingredients you have at home. For example, a chicken dish can usually be altered into a pork, beef, a shrimp dish, or a tofu dish (for a vegetarian option). You can use this one formula to marinate almost any raw meat and seafood prior cooking. If you are wondering whether this step is necessary, the answer is a big YES. It is the first step of the basic stir fry skill “velveting”. It means to use a quick marinade to tenderize and season the meat, and using cornstarch to coat the meat so it won’t dry out during cooking. Then, cook the meat in hot oil (frying) or boiling water (blanching) until just cooked through. There are millions of ways to marinate the meat. Adding soy sauce gives the meat an appetizing caramelized color during cooking. Using Shaoxing wine (or another type of cooking wine) will eliminate the fishiness or gaminess of the protein and add aroma. Adding minced ginger will tenderize the meat and add more flavor. The oil will prevent the meat from sticking together during cooking. Plus, the oil works as a liquid to dissolve the cornstarch without causing oil splatter during cooking. However, if you do try a different marinade that contains liquid seasonings, make sure that you add enough cornstarch to form a thin coating, or drain the liquid before the stir fry process. Otherwise, the liquid will causes oil splatter once you add the ingredients to the hot pan. To create a crispy crust like restaurant takeout, read this post to learn how to create crispy chicken without deep frying. 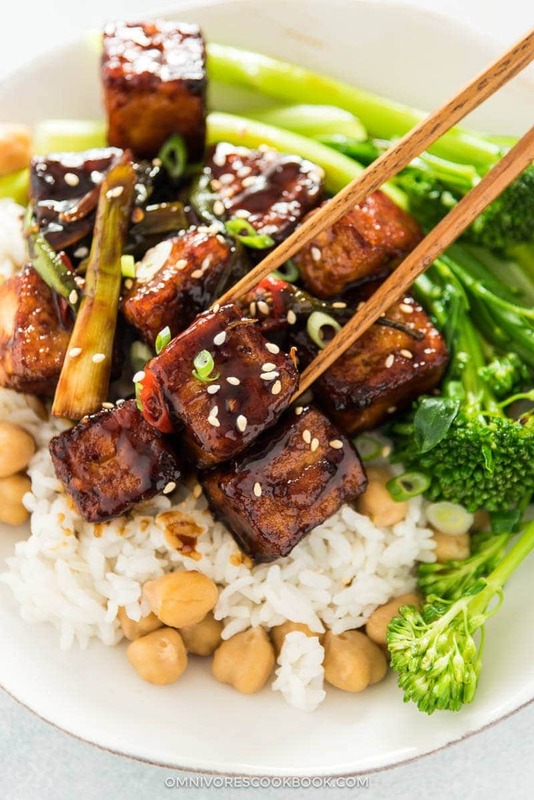 For a vegetarian dish, read this post to learn how to create flavorful and crispy tofu without deep frying. You can use the tofu to replace any meat in other stir fry recipes. Use cooked meat, such as ham, leftover roast chicken, or BBQ pork, simply chop or shred the meat. This method eliminates the marinate and cook time. It works well for fried rice and fried noodles. Use bacon or sausage to eliminate the marinating step. This method work well in a noodle dish or fried rice. Use ground meat to eliminate chopping and marinating. You only need to brown the meat and season with salt and pepper. It works well for fried noodles, simple stir fried vegetables (the ground meat is used as a flavor enhancer), and fried rice. 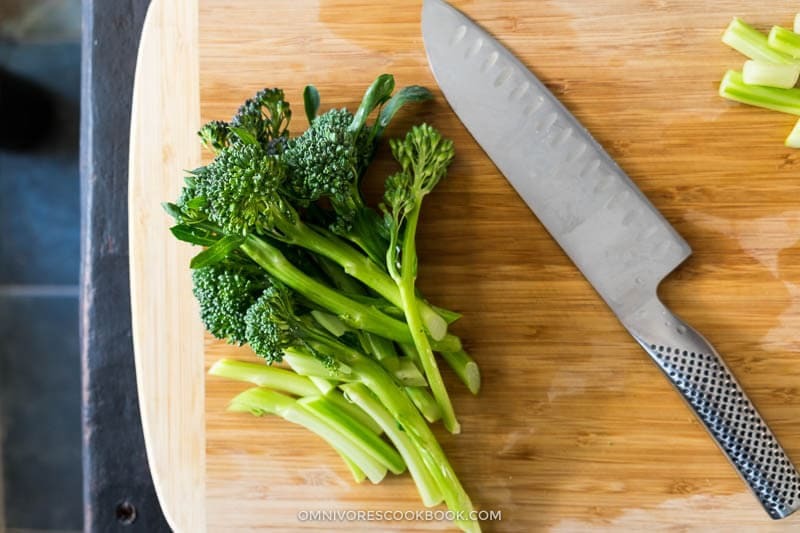 No matter if you’re adding vegetables to a protein stir fry or making a quick and healthy side dish, only choosing one vegetable (or no more than two) works the best for weekday cooking. It saves time for washing and chopping, and it’s much easier to control the doneness during the cooking. Some of the most common vegetables in Chinese stir fry include bell peppers (and anaheim pepper), asparagus, broccoli, cauliflower, carrots, green peas, onion, and snow peas. These ingredients work well with most of the stir fry sauces. If you see a recipe that calls for a vegetable that you don’t have, you can usually replace it with these ingredients. If you want to learn more about which vegetable goes with which sauce, check out the sauce recipes below. In each post, I listed the types of vegetables that can be used with the sauce. Use frozen vegetables to skip washing and chopping. The mixed green peas, carrots and corn work well in any stir fried dishes. You need to thaw the vegetables according to the package instructions first prior to cooking. Blanch the vegetables in the same stir fry pan instead of using a separate pot. See this post to learn how. Use a julienne peeler to cut potatoes, carrots, and sweet potatoes to strips, so it shortens cooking time. The sauce is the other key component in a stir fry dish that you can prepare ahead of time. I’ve written a few post about how to make stir fry sauce and how to use them to cook stir fry. You’ll find out that mixing the sauce ahead saves you a tremendous amount of time when you cook dinner. Alternatively, if you do not want to make big batch of sauce ahead of time, no worries. Most of my stir fry recipes list the stir fry sauce separately, so you can easily replace the aromatics, protein, and the vegetables in any of the recipes according to the tips you learned from this post. The most important step for any stir fried dishes means you should have all your ingredients prepared and gathered near your stove. Unlike making a stew or soup that allows you to chop the vegetables while the cooking goes on, stir fried dishes are usually done in a few minutes. Proteins like chicken and beef will be cooked in 2 to 3 minutes and can be over cooked in another 30 seconds. That’s why you should always get all the ingredients ready before turning on the stove, so you can add each in a timely manner while your other ingredients are sizzling in the hot skillet. You might be afraid that you don’t have enough kitchen counter space to place all these tiny bowls. Here is the good news: You don’t need to use a dozen small bowls for each ingredient. Sometimes I use more bowls and plates in my blog picture for the sake of demonstration. In reality, you only need 3 to 4 bowls (or plates). 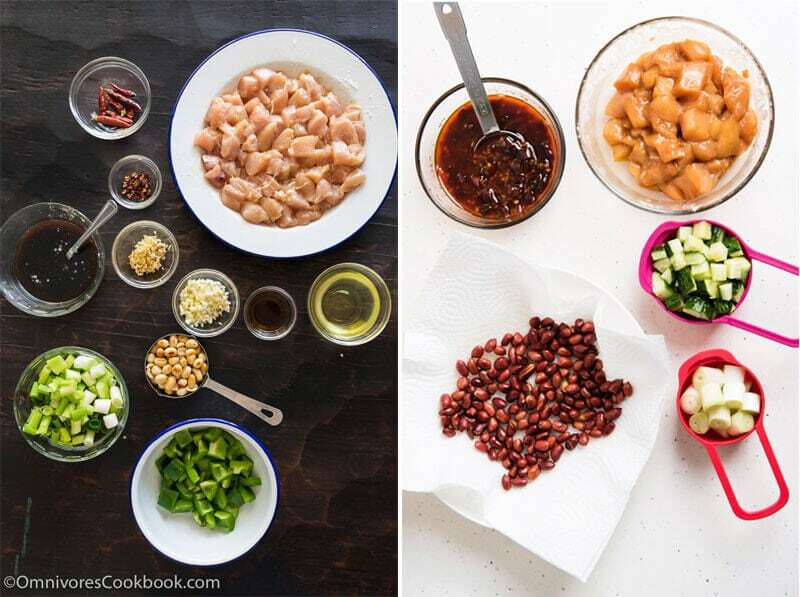 In the pictures above the two mis en place are both for Kung Pao Chicken. You can see the picture on the left, that you can reduce the number of bowls from 11 to 5. Cut meat or tofu to bite size pieces (if using), marinate by using the formula above. Mince aromatics and place them in a small bowl. Wash and cut vegetables to bite size, and place them on a plate. Gather ingredients and cooking oil near the stove. Go through your recipe again to make sure you have everything ready. Add the stir fry sauce. And add back the protein. Add vegetables that cook very fast (if using). Cook and stir until the sauce thickens. Once the stir fry is finished, transfer everything into a big serving plate immediately so nothing will keep cooking in the hot pan. The whole process can take as little as 7 minutes, but no more than 20 minutes. If you start cooking a steamed white rice dish first before preparing the stir fry, your dinner can be done in 25 to 30 minutes. Watch the video below to see the most basic stir fry cooking process. You can replace the soy sauce with any other sauces. The best part is, now you can tweak any stir fry recipes with the ingredients you have on hand by using my stir fry formula! Did I miss anything in the post? Ask a question or leaving a comment below! 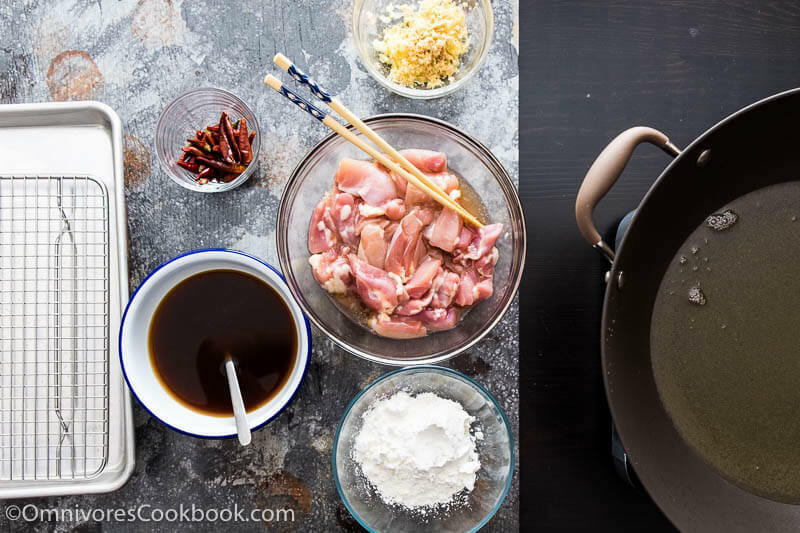 20 Basic Chinese Ingredients – Once you gathered these ingredients, you will be able to cook 80% of the Chinese stir fry recipes without the need to run to an Asian grocery store. 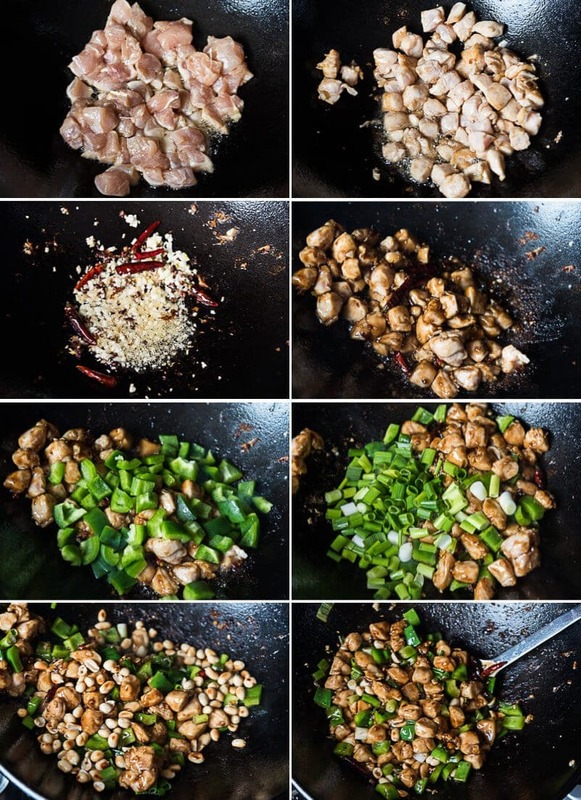 Wok vs. Stir Fry Pan – Which is the Right Tool for You? – The post answers all your questions to clear up any stir fry doubts. 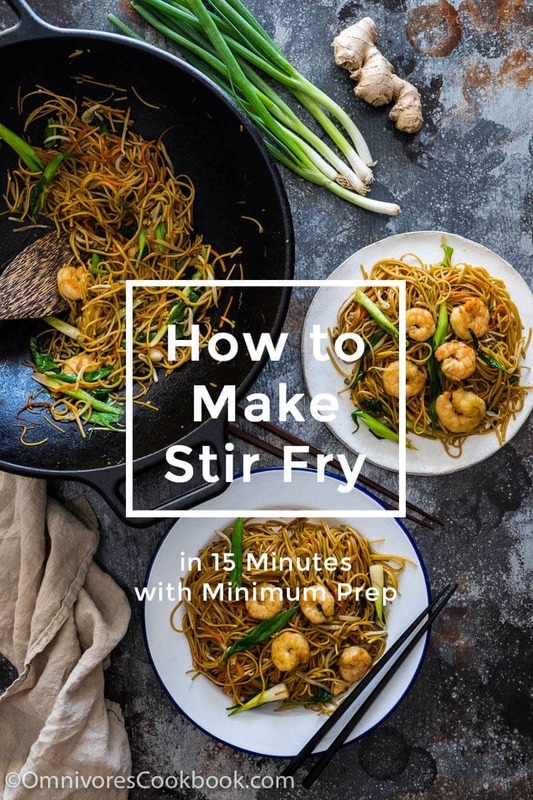 Stir Fry Recipe Collection on Omnivore’s Cookbook – The stir step towards a successful stir fry is by using solid recipes. I love to read your e mail of all the chinese food information regarding the ingredients, the method and the important ideas to do simple ways of preparing. I cook Cinese food a lot and I am learning a lot of information from you. My family loves chinese food. Thanks for your helpful knowledge always. Hi Jaga, I’m so glad to hear you like my newsletter and enjoy cooking Chinese food! Please feel free to drop a question or require a recipe anytime. Me too! I love all the detailed information. I am absolutely loving this series. I have learned a lot just from the sauces. Thank you. Have a great week ahead and happy cooking! Thank you so much for all the printed information. some of us older ladies need to read things over several times I am so greatful for all this instruction. Hi Virginia, I’m glad to hear the information here is helpful and hopefully the post is not too long! Love your cooking method. Thank you. You are a fantastic teacher and an inspiring Chef. I have a question for you. 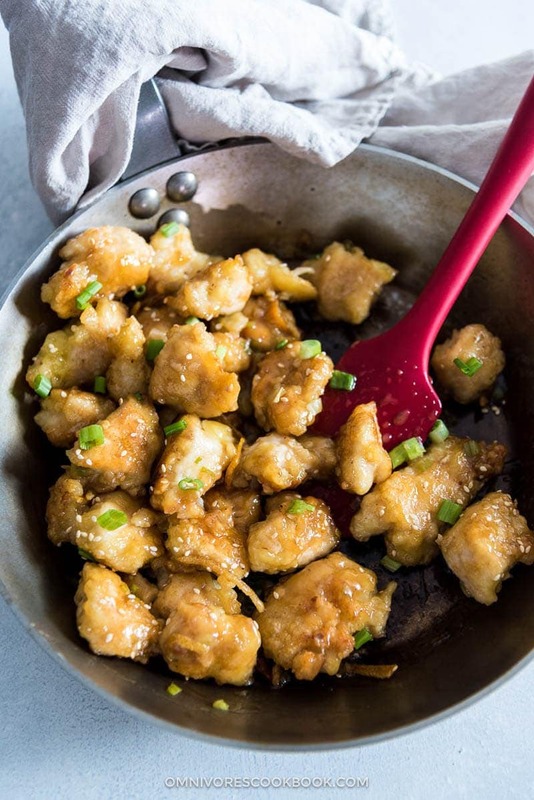 Can you use the same method to do shrimp as you use in your crunchy orange chicken? I go to a Dallas chinesse restaurant that serves shrimp with cabbage Zeshuan style and the shrimp is peeled with no evident “coating” but is moderately cryspy. 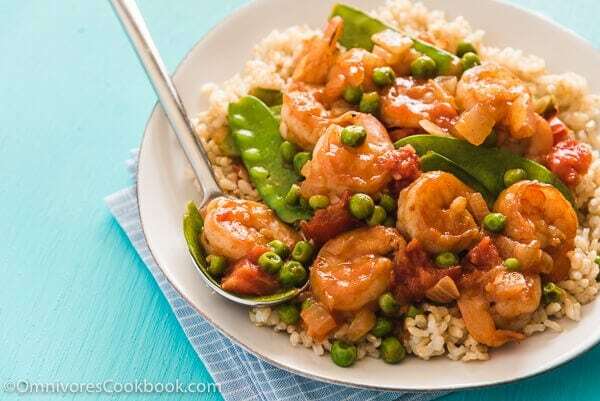 Maybe your chicken method could be use for shrimp??? Hi Carlos, thanks so much for leaving a comment and I’m glad to hear my post is helpful! Thank you Maggie! This is just what I needed to jump into making my own stir fries. Hi Maggie! First of all, let me congratulate you on such a generous and well organized website and also thank you for all the effort this must demand. It’s very generous of you to share so much knowledge!